Val Mindel is a longtime musician, teacher and workshop leader, known for bringing out the best in singers, whatever their level. Her specialty is the close, buzzy harmony that characterizes bluegrass, country and other forms of American roots music. In addition to a busy workshop schedule, she teaches at numerous music camps – here in the U.S. at Targhee for the second time, and also at Ashokan Southern Week, Allegheny Echoes, Festival of American Fiddle Tunes and more and in the U.K. at Sore Fingers and Laurieston Harmony Week. She also performs in various combinations, including with California-based Any Old Time and with daughter and old-time country musician Emily Miller. 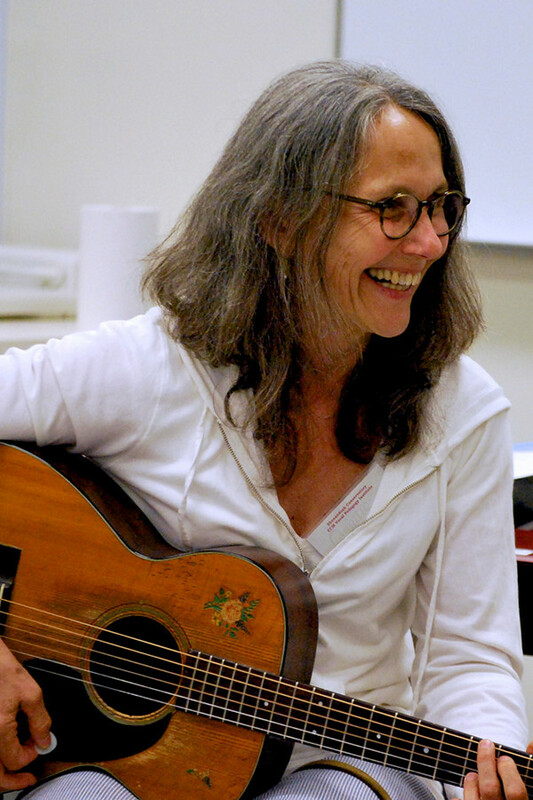 Val teaches regularly in New York City at Brooklyn’s growing old-time music school, Jalopy. She lives in Marlboro, Vermont.